From 2012 to 2015, TEPSA implemented the PEGASUS project together with the University of Cologne, Charles University in Prague, the Institute for Advanced Studies in Vienna, the Middle East Technical University in Ankara and Maastricht University. 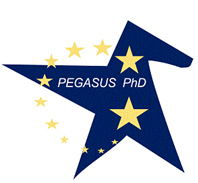 The main objective of the PEGASUS project was the development of a joint genuinely integrated European PhD programme based on a formal agreement. Its two sub-objectives were: the development of the academic content of an integrated curriculum and the development of a legal agreement between the institutions of the consortium. In the context of this project, TEPSA was notably be involved in the design and outline the different modules composing the professional training component of the project such as academia, consultancy, public administrations clusters and extended the reach of the PEGASUS joint PhD towards partners and practitioners from the EU and public institutions, NGOs. The kick-off meeting of the project took place in November 2012 in Cologne as well as other project’ meetings in April 2013 in Vienna, in October 2013 in Prague and in January 2014 in Brussels.